When will be Big Fan next episode air date? Is Big Fan renewed or cancelled? Where to countdown Big Fan air dates? 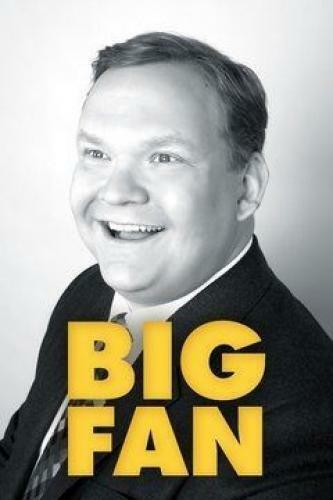 Is Big Fan worth watching? Big Fan is a half-hour weekly comedic game show from Jimmy Kimmel based on the viral "Who Knows…?" celebrity vs. super-fan game segment on his ABC late-night show Jimmy Kimmel Live. 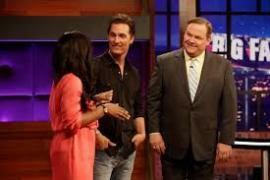 Actor Matthew McConaughey goes head-to-head with three of his fans. Professional football player Aaron Rodgers; TV host Alex Trebek gives Andy some pointers. Kim Kardashian West battles it out with three of her fans. Actress Kristen Bell battles it out with three of her fans. Big Fan next episode air date provides TVMaze for you. EpisoDate.com is your TV show guide to Countdown Big Fan Episode Air Dates and to stay in touch with Big Fan next episode Air Date and your others favorite TV Shows. Add the shows you like to a "Watchlist" and let the site take it from there.